HD 7/10 CXF with cleaning agent injector and nozzle kit 21120120 https://www.kaercher.com/ae/accessory/hd-7-10-cxf-with-cleaning-agent-injector-and-nozzle-kit-21120120.html Complete ready-to-use high-pressure foam system for use in the food and sanitary industries with HD 7/10 CXF for cleaning and disinfection. Foam nozzle for connection to HP spray lance and high-pressure detergent injector with pressure 0-5 % metering valve. 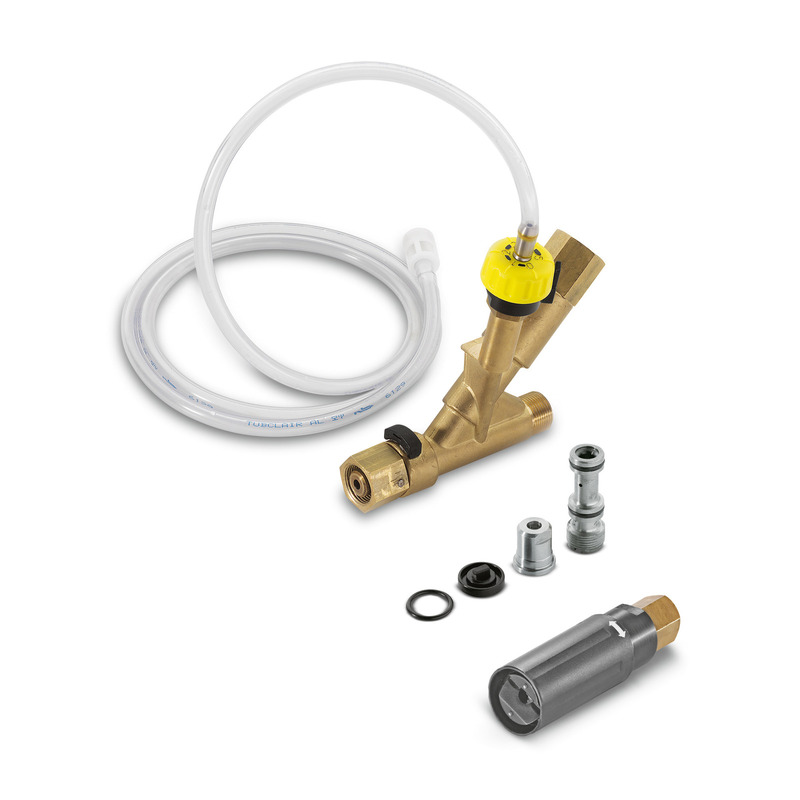 Nozzle kit included in delivery.